Apple today seeded the third beta OS X El Capitan to public beta testers, one week after seeding the second set of beta and just under three weeks after first providing the OS X El Capitan beta to the public for testing purposes. The third public beta follows the launch of the fifth OS X El Capitan developer beta, which was seeded to developers late on Monday afternoon. No outward-facing changes were introduced with the beta, suggesting it's an under-the-hood update with bug fixes and performance improvements. Beta testers who have signed up for Apple’s beta testing program and already have the public beta installed can update through the Software Update mechanism in the Mac App Store for OS X.
OS X 10.11 El Capitan is expected to be released to the public in the fall after the beta testing process is complete. Apple is starting production on its next-generation iPhones, reports Bloomberg, and the new models are equipped with Force Touch capabilities. Force Touch, first introduced with the Apple Watch, is a feature that's able to distinguish between a light tap and a harder press, enabling a range of new gestures. The two new iPhones will retain the same 4.7 and 5.5-inch display sizes, with an exterior design that's largely unchanged. KGI Securities analyst Ming-Chi Kuo has suggested the addition of Force Touch could make the iPhone 0.2mm thicker, but it is unclear if that rumor is accurate. Because the design of the new iPhones will remain the same, Bloomberg's sources believe final assembly will go smoothly, but caution that production volume could be impacted by the supply and yield of displays for the devices. Apple has been working to add Force Touch across its product lineup since unveiling the Apple Watch and has thus far incorporated the feature into the trackpads of the Retina MacBook and Retina MacBook Pro. 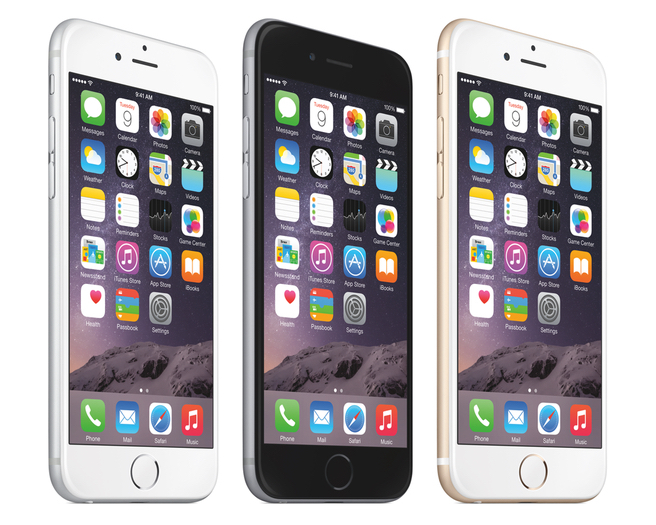 Apple is expected to debut its next-generation "iPhone 6s" and "iPhone 6s Plus" in September. Other rumors about the device suggest it could include an improved camera, 7000 series aluminum, and a new rose gold color option. Apple has determined that a small number of 3TB hard drives used in late 2012 27-inch iMacs sold between December 2012 and September 2013 may fail under certain conditions. Apple is contacting affected iMac owners that provided a valid email address during product registration to inform them about the new replacement program. iMac owners can check if they are affected by entering the computer's serial number on Apple's support website, and visit the Genius Bar, locate an AASP or contact Apple Technical Support to initiate the replacement process. Apple advises that customers who paid to have their hard drive repaired contact the company for a refund. The replacement program covers affected iMac models until December 19, 2015, or three years from the affected iMac's original date of sale, depending on whichever is longer. Read about the iMac replacement program on Apple's support website for further details. Apple announced a similar replacement program in mid-2011 for select 21.5-inch and 27-inch iMacs sold between May and July of that year with Seagate 1TB hard drives that could also fail under certain conditions, later expanding the program to include a much broader timeframe. That replacement program expired on July 23, 2013 after being extended for a year. Apple also launched a repair program for early MacBook models in 2010. The other major unknown about the Apple Watch is its battery life, but it seems that it will need to be charged on a near daily basis. According to Apple CEO Tim Cook, people will use the device so much that it will need to be charged each day, much like other smart watcheson the market. Thank you MacRumors for the article.